Gravimetric Analysis: Any enemy Character with Stealth, Cloaked, or Invisibility that moves during its activation looses Stealth, Cloak, or Invisibility respectively for the rest of the round, save 16. Radical Senses: Not affected by abilities or Force powers whose name contains Ambush, Advantageous, Cunning, Stealth, Cloaked, or Invisibility. Lightsaber Gift: One Unique Ally with a, force rating, gains Lightsaber for the rest of the skirmish. This power can counter the negative effects of the Cortosis Gauntlet. Last edited by FVBonura on Sun Apr 03, 2011 10:15 am, edited 2 times in total. Fringe Han needs a Fringe Chewie partner. If he happens to be riding a squirrel, so be it. Alright, so we've a Tusken Jedi (sorta in the way of A'sharad Hett) and then we're getting a Wookiee Jedi in V-Set 2. So for V-Set 3? Jawa Jedi and Ewok Jedi! 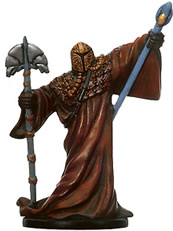 The Jawa Jedi named Akial was created for the Living Force RPG. Then there was an unnamed Ewok Jedi drawn into the Star Wars Roleplaying Game: Geonosis and the Outer Rim Worlds. Obviously I'm not looking for huge beatstick Jedi, or even really awesome Jedi. I'm just thinking more towards small cost minis in the range that we don't really have anything in. Flame Suit: When this character would take damage from a flamethrower, this character takes no damage, save 6 (can get adjacent to target and may not take any damage). Cloaked by Enemy: If this character is afforded cover by any enemy characters while being targeted, this character gains cloaked (mouse walls hide this character: bring your shooter closer to the action). "A mandalorian needs to be as fast as the prey he hunts"
Droids are subject to this effect. Separatist droids in your squad can receive commander effects. Droids gain Syncronized Fire. Project Instinction (Replaces turn: living characters within 12 squares gain savage and -4 defence until the end of the round, they can avoid this effect with a save of 6. Enemy characters that fail this save join the your squad until the end of the round. CE: at the end of this characters turn, up to three characters with order 66 can immediately move 2 squares. This movement does not count as activating those characters. Mounted Weapon, heavy weapon, splash 40, shields 2, troop transport for 4 medium or two large. CE allied characters with a force rating gain 2 additional force points and may spend this characters force points. Alderaan troopers gain spotter 20. Imperial reserves 30 for non-unique imperial troopers, imperial reinforcments 6, CE if a trooper follower in your squad has line of sight to an enemy at the beginning of a phase, you may choose to activate 2 or 3 characters that turn. Allies with Grenades [X] gain Self-Destruct [X]. Squad Coordinator: Non-unique Allies' commander effects normally limited to 6 squares have unlimited range. I think this may open up options for a number of currently ignored commander effects and could lead to some fun new squads. Cool idea, first read through i missed the non-unique part, but reading it now I completely agree. This is crazy I know but I'm going to throw it out just to see what ideas might surface. This would probably fit in an epic set. Not for competitive play but for a ton of fun. Pick a map and give it stats. Senoma Zekot. Maybe use tiles that could be moved instead of figures. The environment becomes the squad. Every new idea has some crazy in it. This was mine. Thoughts? Another thought. and one piece that could represent the external consciousness of the planet. So the squad is made up of one map, one piece and two stat cards. Here is a rather simple request: I want to see a Han Solo and a Chewbacca with the Pilot SA. I kinda find it surprising that the two characters who fly the fastest hunk of junk in the galaxy don't have the pilot SA. With all the new stuff in R&R and Pilots recieving a boost, I think its about time we gave the two most famous pilots in Star Wars, the special ability Pilot. Since the Designers are starting to work on V-Set 3 now, we're more in need of ideas for V-Set 4. I started a new thread to post your new ideas in.